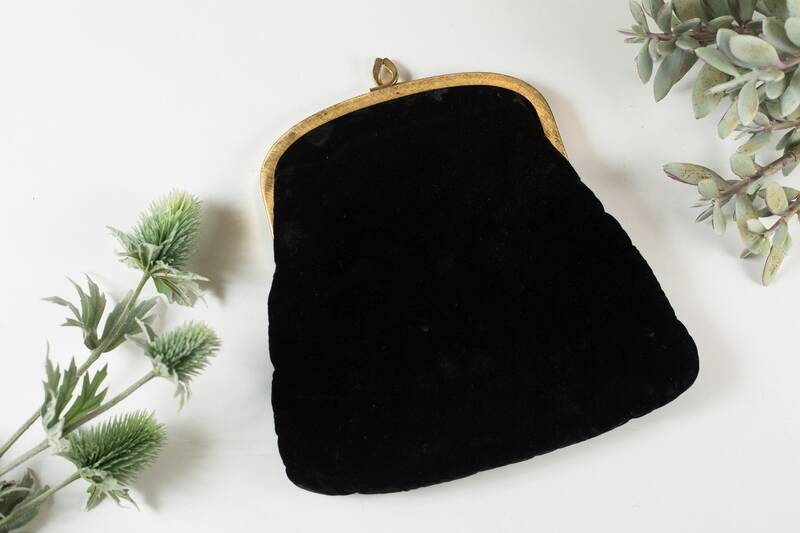 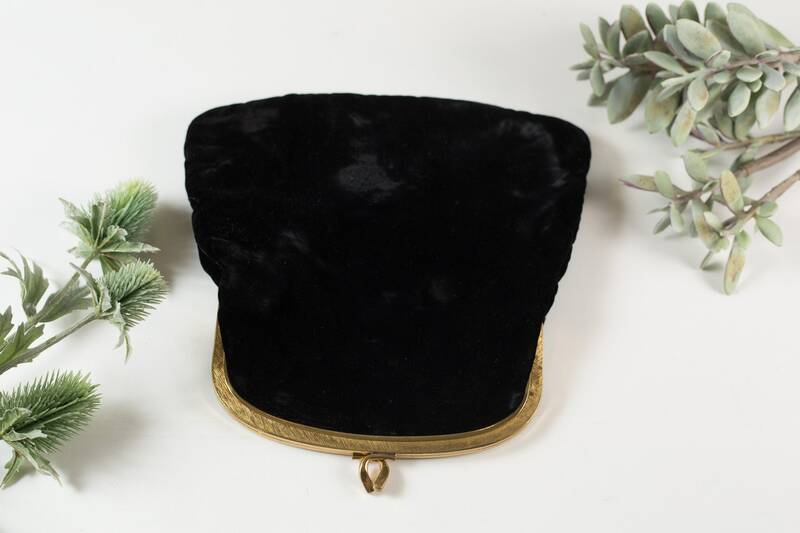 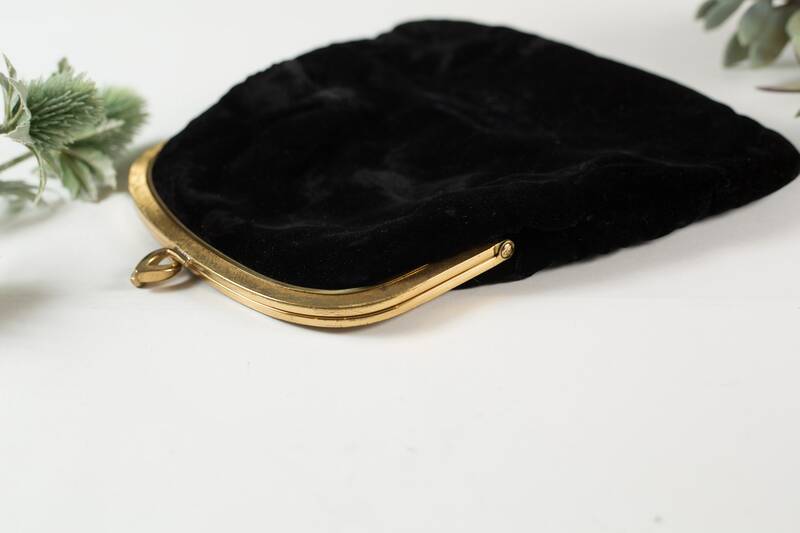 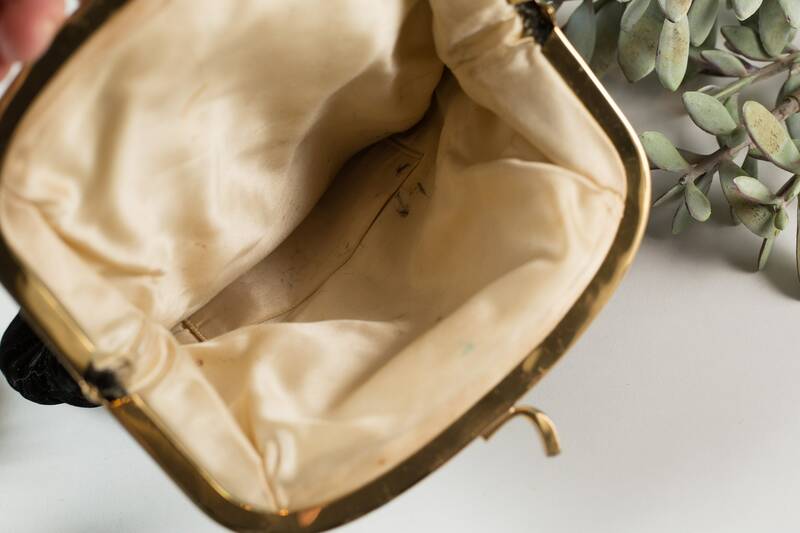 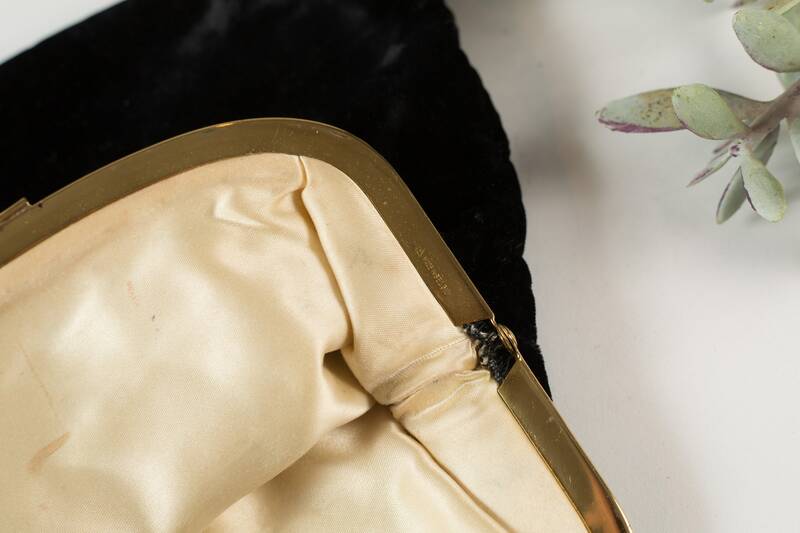 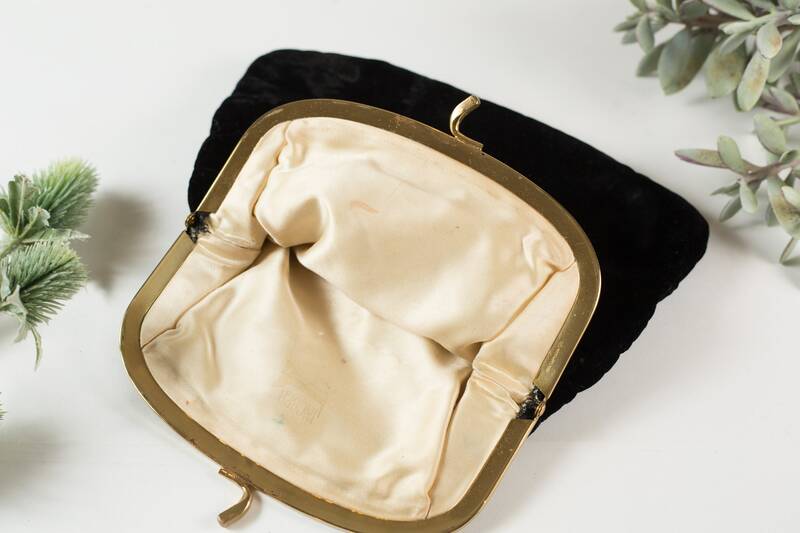 This is a beautiful black velvet clutch / purse with a gold coloured metal frame and clasp. 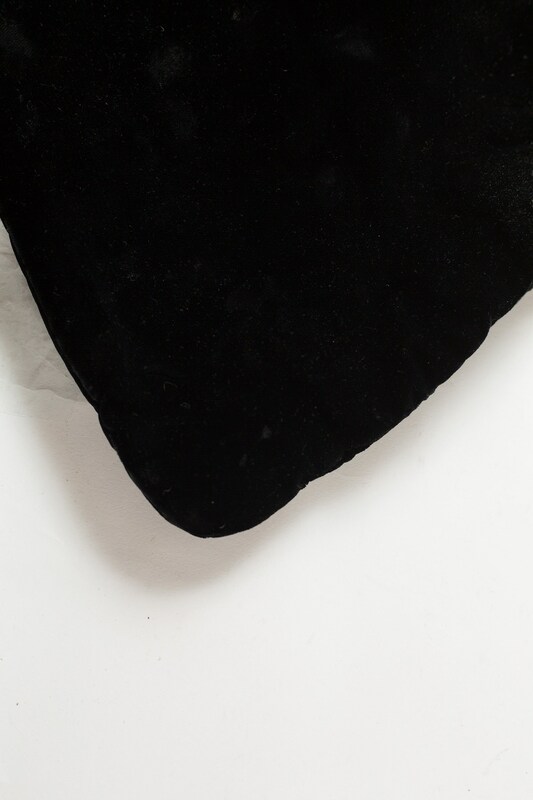 Good condition.Some stains inside and minor imperfections. 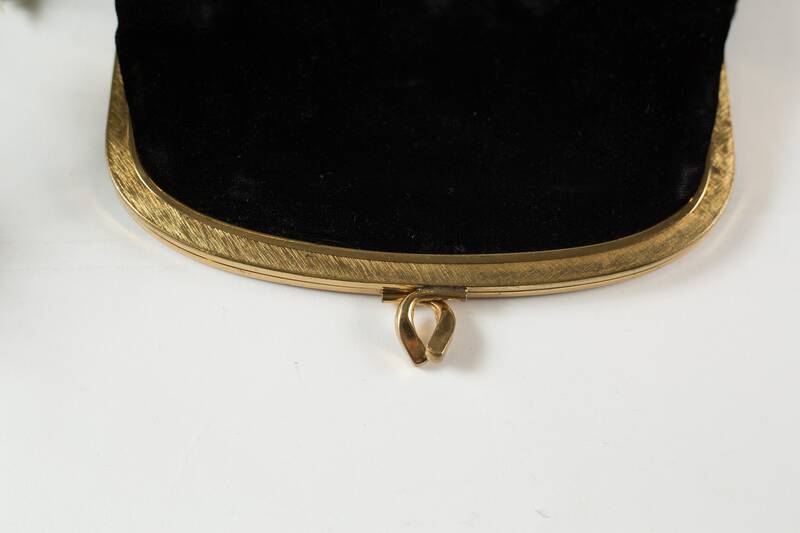 See detailed photos.